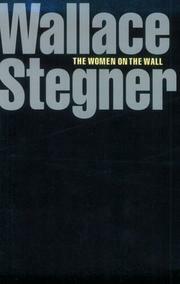 Stegner's versatility is already well proven, and this volume of wholly unstandardized short stories is but further evidence. The stories range from realistic anecdotal material with a folk quality to perceptive, sensitive psychological studies of adolescence and childhood. The scenes shift from Vermont to California, from Saskatchewan to Mexico. There's humor and pathos and occasional irony- but there's none of the sordidness, the disillusionment that marks so much of contemporary short story telling. Some may even call his stories old fashioned. I found them hearteningly American, without ever being either corny or sentimental. I'd suggest for sampling, to give you a flavor distinguishing these stories from the average collection, the following:- Beyond the Glass Mountain, the story of two one-time school chums meeting years later, when roles were reversed; Goin' To Town, a study of anticlimax; Two Rivers for contrast in mood; The Colt, a story of a boy's love for a colt- and the tragic aftermath; The Sweetness of the Twisted Apples for the flavor of rural life.